The second week of the Woodsville JAG Crew was spent doing alpine rock work on Cannon Mountain. The students were very excited to be going to an area with such marvelous views and the promise of a tram ride to and from work every day sounded quite adventurous. We worked on both the Kinsman Ridge Trail and on the Observation Loop that circles the peak. After a foggy Monday morning tram ride, an introduction to alpine vegetation, and an outline of the work to be done, the students started on their varying projects. Some parts of the trails were widened by cutting back overgrown limbs and some areas were closed off by covering them with brush. 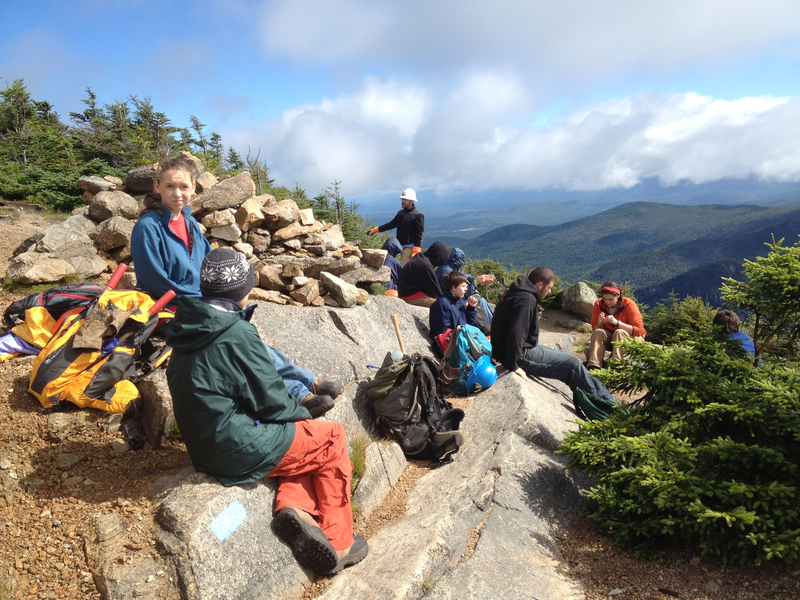 We especially focused on an area of the Kinsman Ridge Trail that offered some spectacular views of Franconia Ridge. Because of the outlook, hikers stopped here, often times wandering off trail in search of a better camera angle or to find a perfect lunch spot. By doing this, the fragile alpine plants were being trampled and erosion was an ever-increasing problem. The students protected these areas by building low walls of small rocks, called “scree wall” as a visual barrier to keep hikers on the trail. They also rebuilt a large cairn, which is a tall structured pile of rocks to mark the direction of the trail. The experience of working on Cannon Mountain, riding the tram, building rock structures, and having beautiful views to appreciate, was an unforgettable experience. 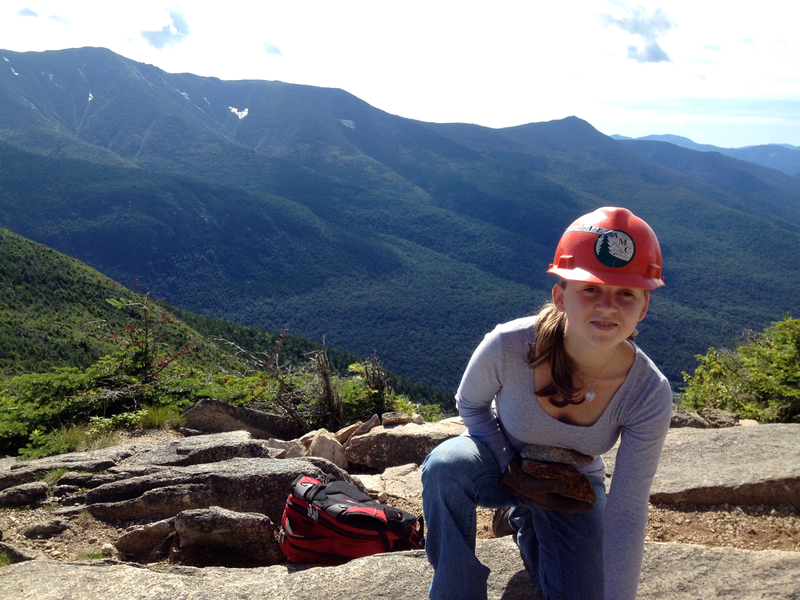 The students now have a concrete understanding of how unique the alpine zone is in New Hampshire and what it takes to protect this resource.